EuroMillions has 13 prize categories and thousands of people come away happy winners at the end of each draw. But what people are really waiting for is the Superdraw! The always anticipated and not often held EuroMillions Superdraw is a can’t miss lottery event. The starting jackpot is an incredible €100 million and it can easily grow to its €190 million cap, meaning Superdraw winners are bound to be some of the biggest EuroMillions winners. If you’re interested, we’ve got a whole page dedicated to the EuroMillions Superdraw. The winners of this lottery event have lived a dream and will do so for the rest of their lives. With prizes that big, it’s one that they’ll pass on to future generations as well. EuroMillions players will long remember 6 October 2017 as the day that an anonymous winner scooped the entire €190 million jackpot! Of course, since the winner is anonymous, there are questions about their identity, but in this case, there are even more questions! For one thing, the winning ticket was sold in the popular vacation destination of Gran Canaria, so while the history books record the Superdraw winner as being Spanish, there’s a good chance that the winner is a tourist from another country. How do you top that vacation? With €190 million in the bank, you can certainly try! 2014 was a busy year for Superdraws with 3 taking place that year alone. On 3 October 2014, the third of the year took place. There were no Superdraw winners in the initial draw and the jackpot continued to roll over until it reached its cap of €190 million. On 24 October, a single Portuguese ticket holder took the entire jackpot! Considering how hard of a hit Portugal took in the financial crisis that shook the Eurozone, that lucky winner was especially lucky! EuroMillions underwent a host of rule changes in September 2016 and celebrated the makeover with a Superdraw on 30 September. 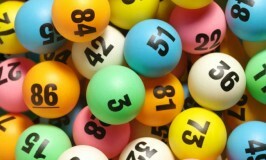 An unprecedented €130 million starting jackpot got everyone’s attention, although no one won the first draw. One lucky, anonymous Belgian scooped 2016’s only Superdraw on 11 October! How to Win the EuroMillions Superdraw? The good news is that there’s no secret to winning, all you need to do is play! Play the EuroMillions Superdraw online for your chance to become the next Superdraw winner!